Vegetables are low in calories as well as high in fiber therefore they are a boon to the elderly who are trying to loose weight. They are also rich in antioxidants like Vitamin C and Vitamin A that help keep your immune system healthy. Here are some additional benefits of including these power packed foods in your diet. 1) They are naturally low in fat as well as calories. Therefore they can be consumed readily without hesitation. 2) They are important sources of nutrients like Vitamin C, fiber, Vitamin A, and potassium. Be sure not to cook the vegetables for long as this destroys the Vitamin C content. 3) Vegetables provide a healthy dose of potassium which is responsible for maintaining normal blood pressure levels. Vegetables like potato, sweet potato, tomatoes, beetroot, spinach provide ample of potassium. 4) Dietary fiber present in vegetables helps reduce cholesterol levels and may lower the risk of heart disease. Fiber is mainly important to regulate bowel movements and to prevent constipation, and diverticulosis. It also provides a feeling of fullness while consuming less calories. 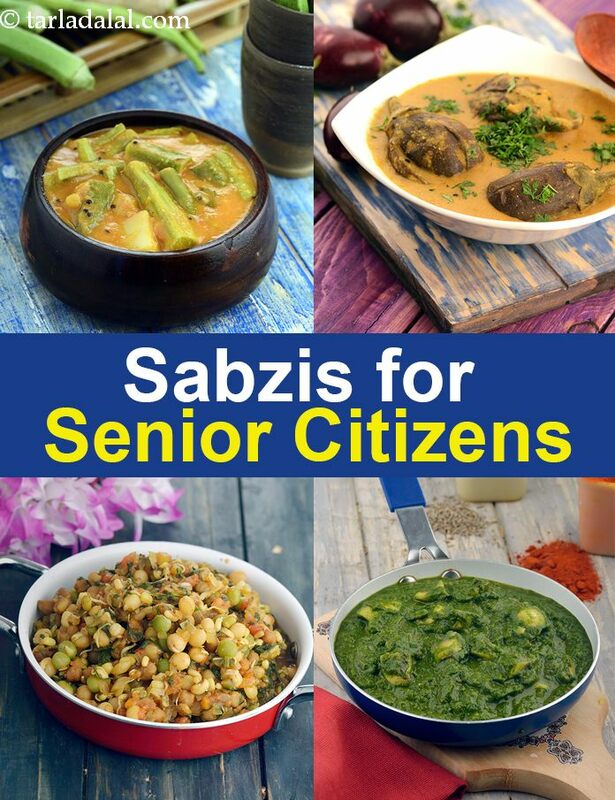 We have made sure to list down subzis that are cooked using minimal fat and that are not prepared using starchy vegetables like potatoes, sweet potatoes and yam. These can be prepared using ingredients easily available in the market.